A project to collect soft, warm, winter hats for pediatric cancer patients. Bring a new, soft hat (store-bought or handmade) sizes newborn to adult to the Hatsgiving drop-off locations. Where will the hats go? All of the new hats collected will be distributed to the cancer patients at the Children’s Hospital at Albany Medical Center and other regional pediatric cancer treatment centers. 2018: We are pleased to add several treatment centers to our list this year. Without the donations of wonderful people all over the country this wouldn't be possible. Thanks for helping us send 3,008 hats to children this year. could donate 2,813 hats to children this year. 2016: We are so grateful to Lids for donating 860 warm hats this year. At final count, we have received over 2,710 hats for distribution and will be sending them to 15 treatment centers across the country. 2015: Thanks to the generosity of people all over the Capital Region and beyond, Hatsgiving distributed 1,563 hats to kids undergoing treatment all around the Northeast. 2014: Combining the November and the May drives, Hatsgiving provided 1,272 hats for patients in the Capital Region and beyond. Wow! What a huge increase from our first year. Lots of heads staying warm thanks to all of the wonderful donations. 2013: Hatsgiving provided 226 hats to pediatric patients This was all from just one collection site. This concept for this project was created in 2012 by Jeremy Wernick, who had just turned 8 years old. That was the second year he chose to shave his head to raise money and awareness for childhood cancer research. As he braves the bald to coincide with his birthday in late fall, he realized it's a cold time of year to suddenly be without hair. This got him thinking about kids who undergo chemotherapy during the colder months, so he developed the idea of Hatsgiving. The first official collection was held in 2013 and Hatsgiving had only one collection site. 226 hats were distributed to children undergoing cancer treatment at The Children's Hospital at Albany Medical Center. In 2014, Hatsgiving had partnered with more locations to help with collection and the donations increased by almost 1,000 hats. Hatsgiving continues to grow and reach out to more regional children's cancer treatment centers to send all of the wonderful, warm hats that are so graciously donated. 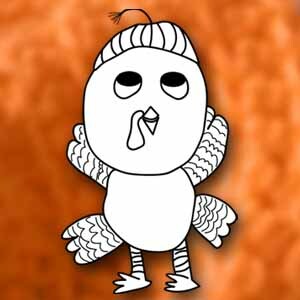 Turk is the Hatsgiving mascot. He proudly wears his winter hat to raise awareness for childhood cancer and to support the children going through treatment.